The shoes is soo comfortable and good quality. I am highly satisfied with the quality of service offered by Moglix. The price of the Products are very much competitive as compare to other Websites. This Hilson workout shoe is really good; the best part of this shoe is its toe, which is made with steel and comfort. 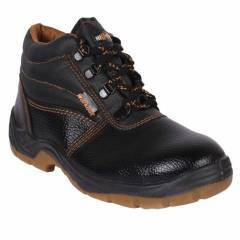 Hilson did it, a valuable safety shoe at this price, really this is the best shoe to protect my feet, and I’m working on a construction site, so this fulfills my need. Moglix shipment should be fast.